As Virginia Wine Month progressed, I found myself looking for Virginia wines in every local wine shop that I walked into. I always glanced before, but it never felt like there was much of a selection. Lately, though, that seems to have changed, and it was exciting to see such variety throughout the DC Metr0 area. The more I looked, the more it wasn’t just the recognizable Virginia vineyards being sold. One of the smaller wineries that I was excited to find in two of my local wine shops was Mountfair Vineyards. Mountfair is located outside of Charlottesville, and my first encounter with their wines was at the September Virginia Wine Festival. While at the festival, I bought two bottles of their wine, and since then, I’ve purchased several more. 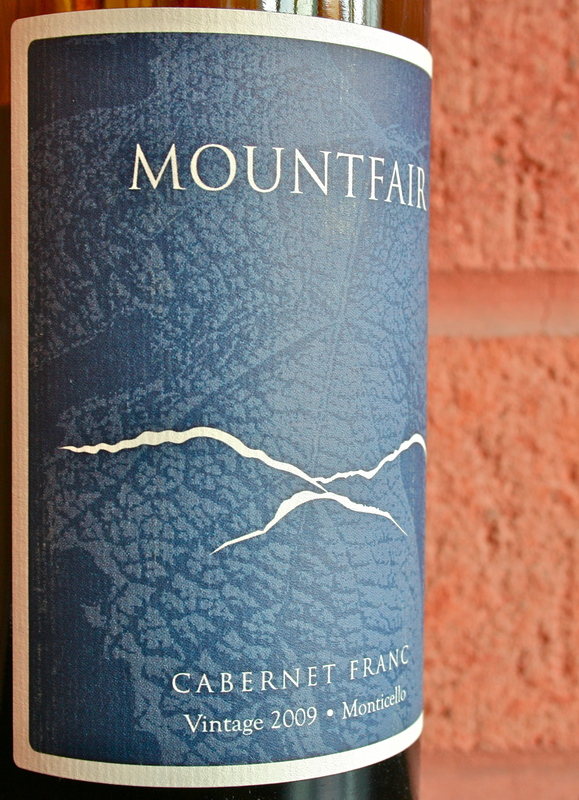 The 2009 Mountfair Cabernet Franc (winery) was a blend of 80% Cabernet Franc and 20% Merlot grapes and was a dark purplish ruby. On the nose, there were big ripe berries, tobacco, and a hint of violets. In the mouth, there berries, tobacco, and a touch of violets, smoke, and green peppers. The wine had medium body, acidity, and tannins. Is this worth a glass after work? Definitely! If you see this wine in the store, grab it; you won’t be disappointed. At $20, this wine is one that you can sink into for an entire evening. It has enough personality to be enjoyable on its own, but also can be a food friendly wine when paired with nice, flavorful dinner. 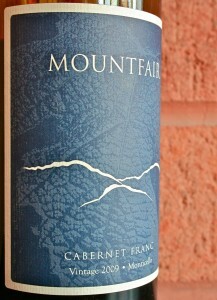 I love Mountfair wines and the Merlot is absolutely spectacular! It is also great to hear that you are finding more and more Virginia wines on the shelves. We are experiencing the same thing here in Charlottesville and I am thrilled to be able to try all sorts of new wines – especially from Virginia. My other new favorite is the Blenheim Syrah.